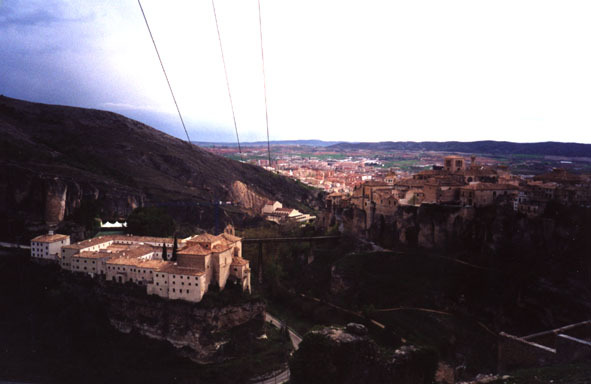 On the way from Madrid to Valencia the city of Cuenca is a worthy stop. 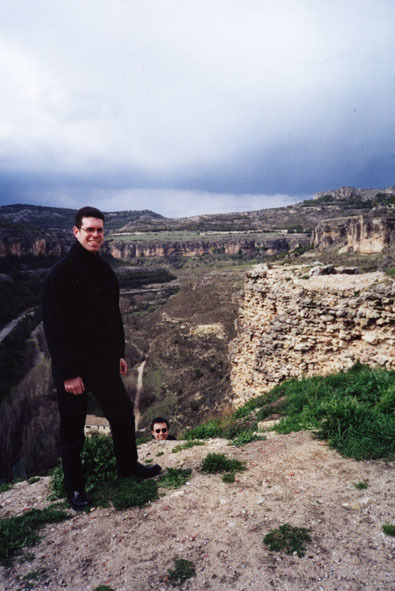 With a rented car Jan, Marcus and I did stop there - though the weather was quite not worthy to do sightseeing. 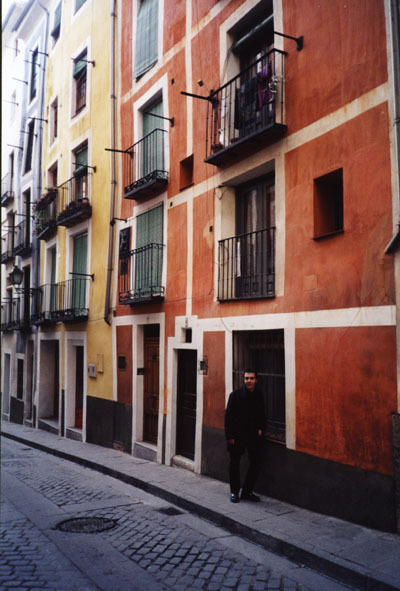 On the left a hotel or similar, on the right the "Casas colgadas" - the hanging houses. 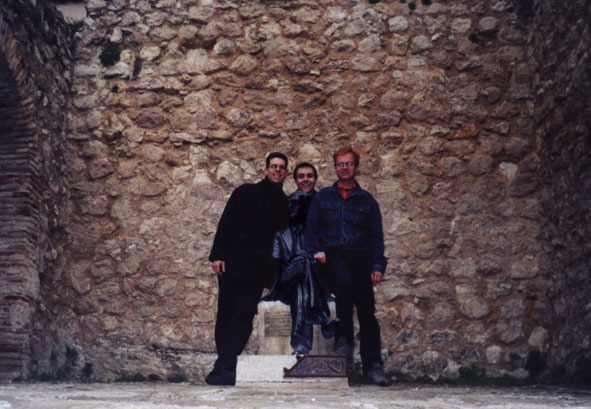 Jan, Tomasito and Marcus - and some statue. 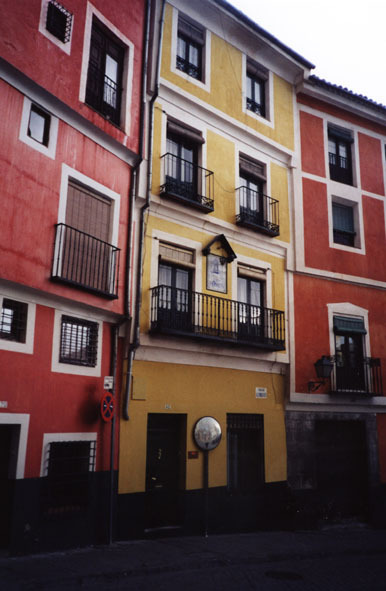 In Cuenca there are not only hanging houses - no - but also beautifully coloured houses. one should draw the attention to the mirror. What can be seen there? No clue? Then just click on the mirror.